10% off Heating Unit Repair Services! With cooler weather just around the corner, it's time to call the professionals at JK Heating and Air Conditioning to either install, repair, or perform maintenance on your Shreveport area heating or HVAC unit. Don't over-pay while your provider under-delivers! With over 18 years of experience specializing in heating and air conditioning service, repair, and installation, we stand by our quality work and honest estimates. No matter what the problem, our team of highly-trained and certified HVAC technicians are prepared to perform installation and repairs on all major brands and specialize in furnace installation. We specialize in every area of HVAC, from installation of heating and cooling components to heating maintenance and everything in between. Call our experts to get your units installed correctly. 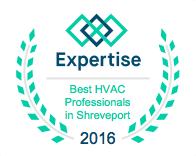 As a leading HVAC and heating repair contractor in the Shreveport, LA area we provide exceptional emergency repair, maintenance and installation services around the clock. Do not wait when you residential or commercial HVAC system goes out! We will come to your Shreveport area residence or business to assess and repair your furnace, hot water heater, refrigeration unit, freezer or HVAC and provide you with the best course of action.